Typical of most mint family members, rosemary is rich in antibacterial essential oils providing wonderful support for the immune system. As a mom and preschool teacher I have seen plenty of kids come down with illness at the beginning of the school year. So why not give little immune systems some gentle support as the school year starts? Having a lovely action on the nervous system, rosemary simultaneously relaxes and refreshes an overwhelmed, tired mind as well as easing tension headaches. When your kiddos come home tired and exhausted from school offering them a nice cup of rosemary tea, relaxing foot bath or full body bath with rosemary in the tub will help them let go of the stress of the day and clear away muddled tiredness from their heads. 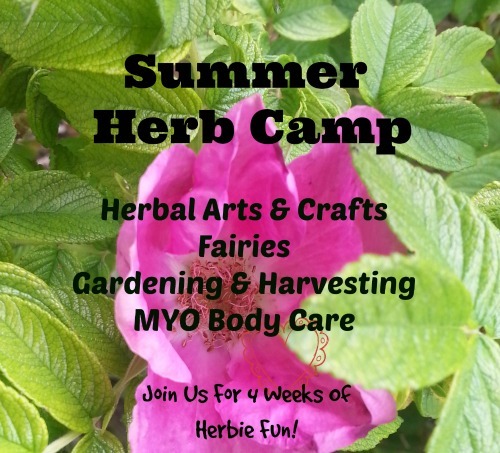 back to school, herbs for kids, herbs for children, study help, herbal medicine, herbs for studying. Yesterday... Outside a light drizzling haze of rain has begun which promises to give way soon into a steady downpour. Walking home from the bus will likely be a wet adventure in worm hunting with rain drip dropping on each of our umbrellas. When my kids get off the bus they are worn out, ready to relax and let down their guard. Ready to be home. I love to support and help them relax with nourishing snacks and a hug. The new school year is quickly approaching for us at our very sweet little preschool. Some of the kids will be coming to school for the very first time. In fact they may have never been away from their mama. Because needless to say, for some kids (and their parents too), the first day of school can be intimidating, scary and even a bit traumatic. I know I sat in my car and cried for a good twenty minutes after I dropped my oldest daughter off on her first day of preschool. Every year on this very special day we help the kids adjust to their new environment by offering a time-honored and much loved activity, playdough, made a bit friendlier with the addition of calming essential oils and herbs. Playing with playdough on its own provides stress relief through tactile squeezing and massaging of the smooth squishy dough. With essential oils added the child instantly gets all the benefits of aromatherapy. Breathing deepens as the oils are inhaled calming the mind and body, bringing about a sense of peace. Read Herbal Playdough for more info on the benefits of playdough and to get some great ideas for making your own colorful fragrant completely chemical free playdough. It is fun to let each child custom make their own playdough to take home. They have something fun they made to share with their family at the end of the big day. Combine dry ingredients in a sauce pan. Add the water and oil. Stir together and heat slowly over low heat. Stir almost constantly until the playdough sets up. Let it cool to warm before playing, playdough right off the stove is hot. Essential Oils I like to offer lavender, sweet orange, cardamon, spearmint, rosemary and rose geranium. Give each child a nice blob of playdough and some playdough toys. Have them pick out one color from your food colors to add to their playdough. Put a couple of drops of food coloring in their playdough and start mixing it in for them so they don't get a big blob of food coloring on their hands. You will have rainbow hands at the end. Let everyone smell the essential oils. I usually talk with the kids a bit about smelling the oil by inhaling, not exhaling. And then we practice. I tell them to be sure not to touch their nose to the bottle. This keeps the oils clean and safe for everyone to use. Then let them choose which oils they want in their playdough. I have found that most kids will want every oil! Have the child make a hole in the playdough. Then you place a drop or two of oil in the hole and take a moment to personally squish up the oil into the playdough so that the oil doesn’t come into direct contact with the child’s skin. It is safe once it diluted into the playdough. Offer herbs and glitter for the kids to mix into their playdough. Just dust a bit over the top of their playdough or make a little pile on the side for them to add in. Some kids find the glitter and herbs to be "sharp" but usually they love adding in more and more as they go. When the child is done playing, bag up their playdough so they can take it home at the end of the day. How do you welcome little ones to your school for that first big day? I would love to hear all about it! Well, the first day has come and went. We had a blast making our playdough. Some of the kids made some really neat pieces of art with their playdough and all the additions we used. Fresh lavender stalks became trees and dried roses became lava. Please Note about essential oils: Essential oils are concentrated plant substances. They are dangerous and should not be used unsupervised around children. Always keep the oils up and out of reach when you aren’t using them and be sure that an adult is the one who holds and uses the bottles. I tell the kids that the essential oils are for teachers to use. Some oils smell like really yummy food, so please do be careful. Use mild oils like the ones listed above. Lucky am I, my kids love school. We have a wonderful local school for them to attend with caring attentive teachers, excellent technical resources and lots of friends. One of my kids loves school so much that she bounced into the car as we headed home from the last day of school and immediately asked, "Can we go back to school shopping?" Even so, about two weeks before school is set to start I can feel it creeping in... anticipation and unrest. My kids are ready for and looking forward to school but nervous. And let's face it, waiting for anything can be tough. We have had everything from nervous upset tummies to sleep disturbances to the daytime crazies. This year to help ease the transition we are all drinking a calming infusion of wonderful herbs and it seems to be keeping things in check. Everyone is a bit calmer and sleeping well at the moment. And Mommy is also keeping her cool. This infusion (strong tea) nourishes the nervous system, calms digestion, encourages restful sleep and eases stress. It is simple and easy to make with a bit of forethought. Really any combination of these herbs would work great. I use dried herbs but fresh would work fine though you may wish to increase the amount you infuse as dried herbs are more potent than fresh. I make this infusion in 2 parts because oat straw and oat seed need to be infused for a long time to bring out their nourishing properties, vitamins and minerals. While the chamomile becomes bitter when steeped to long and the St John can become a bit strong in my opinion. Instructions: Place a palmful each of oat straw and oat seed to a quart jar. Fill the jar half way with hot water. Let sit for 4 to 8 hours. I start this in the morning when I am making breakfast. Then strain the resulting liquid into another jar or tea pot and add a palmful each of chamomile and St. John's wort to the quart jar. Fill again half way with hot water and put a lid on top to keep the chamomile's essential oil from escaping. Let sit for 3 to 6 minutes, no more as it will get bitter. Strain into the container holding your oat straw/seed infusion. I add a little bit of honey, maybe a 1/2 teaspoon (more or less to taste), to the infusion and serve it at the dinner table in fancy tea cups. The result is a mild flowery tasting tea calming to the nerves that my kids love! Oat Straw and Oat Straw~ Often used as a long-term nervous system tonic, oats are extremely nourishing to frazzled nervous. They ease stress, irritability and anxiety. Chamomile Blossoms ~ Chamomile is soothing for the nerves and supports healthy digestion easing that nervous tummy some kids get. It is high in vitamins and minerals which strengthen the nervous system. St. John's Wort Flowers ~ St. John's Wort is most commonly known for its usefulness in easing depression. I find it is also useful in easing acute stress when drunk as an infusion and something about combining it with Chamomile enhances its sunshiny properties. My kids have responded time and again to St. John's and Chamomile combined for nightmares and night terrors. Please note that there are some contradictions when combining St. John's Wort with pharmaceuticals, consult your doctor. St. John's Wort is also reported to increase the skin's sensitivity to the sun. Enjoy and best wishes for a beautiful school year.